﻿ Can Property Sales be Improved using Online Platforms? 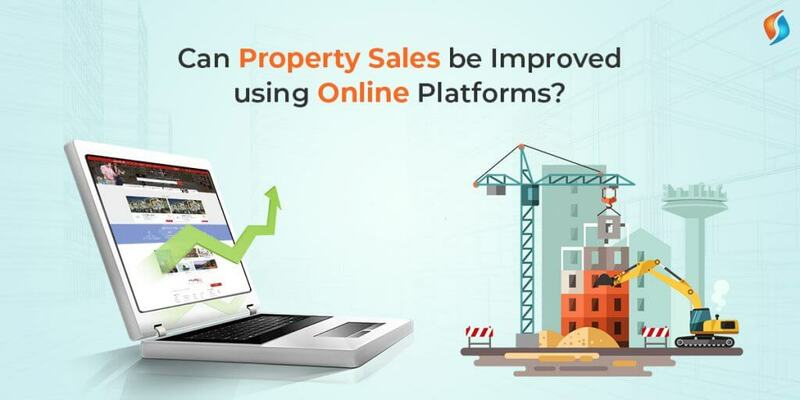 Can Property Sales be Improved using Online Platforms? The real estate market is witnessing a gradual change in the way it used to function. With the advancement in technology and easily accessible internet facility, today the real estate business has really enhanced over the past few years. And the tech-savvy generation of today wants everything on the go. From finding middle term accommodation for students to set up businesses on the fly, online property sales have come a long way. A number of property management solutions have arrived in the market to cater to the needs of this tech-native generation. Searching for a property is no more a headache as the prospective buyers can get all kinds of information such as comparative analysis of property price, location report etc. on real estate websites. Also, the digitization of property sales has broken the monopoly of estate agents and has democratized the market. This is one of the premier websites for buying and selling properties in India. Also, it offers a wide range of locations, projects, and societies. And their database is also quite authentic. This portal is designed for buying and renting purposes and has garnered immense popularity in a short span of time. Also, using efficient enterprise search solutions it has a well-designed search engine and provides detailed information and images of the property to the buyers. Though a new entrant in the online property sales, it is gaining popularity in top-tier cities of India like New Delhi, Bangalore, Mumbai etc. With an accurate database and genuine listing, Housing provides a much higher success rate of buying and selling a property. Also, it provides options for buying property outside India. With the enhancement in search technologies, there is no doubt that online buying and selling of property is only going to increase in the coming times. But the question is what’s making these portals so popular? What are the benefits they are providing to the users that estate agents fail to deliver? Let’s look out for the answers. The online portals provide the correct property rates to the users and this helps property seekers in getting deals at reasonable prices from the sellers. All the minute details of property are available on online platforms using an efficient real estate portal development and this prevents buyers from dealing with multiple brokers thereby, saving time and energy. One of the advantages of real estate portal development is the flexibility that they provide to their users. Also, the portals can deliver tailor-made packages according to one’s specific demands and requirements. The reviews play an important role in influencing the final decisions of the buyers. As they can go through the project and locality reviews before finalizing on a property. The property sales are really going digital and it’s only going to be more popular in the coming times. So, take your property business the online way as Signity Solutions have all the expertise to provide the best property management solutions according to your needs. Also, we are the premier mobility service provider in the country. Feel free to contact us and we will revert back at the earliest.